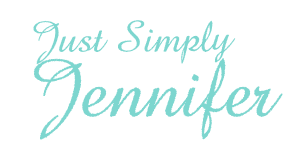 10 Years… | Just Simply Jennifer! Today it has been 10 years since Adam stood me up for our first date. This is a pretty memorable day in my mind almost like it just happened. I felt like an idiot sitting at the dance club not knowing a soul and waiting for this strange man to come. I ended up dancing with ladies that worked at the farm supply store. I think they just felt sorry for me though. I waited from 8 o’clock the set time to meet until 11 o’clock. I went home crying almost the whole way. Adam’s side of this story is that he was at work and they made him work a double shift. He didn’t know a phone number to call to cancel and didn’t think I would go anyways. Yeah, he thought it was okay to stand me up because he thought I was going to stand him up. He still says it wasn’t his fault to this day…amazing he is. *Tomorrow – 10 years ago was memorable too, but I write about that tomorrow.